Valencia CF president held a press conference today announcing that Singaporean businessman and investor Peter Lim Eng Hock wants to invest in Valencia CF and buy the club. At first Salvo was against the selling of the club, since he works for the Valencia foundation which actually owns the club, even though they actually own money to Bankia and the club as well owes money to Bankia, but never the less they still technically owned the club and of course due to their selfish interests didn't want to sell it, even though they know they are never going to be able to pay off the debt and will ultimately destroy the club with no new and fresh money into it. 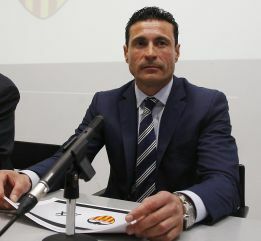 So the fact that he held a press conference announcing that he wants to sell the club and that they have an investor is a really good turn of events, I really thought that Salvo is going to destroy Valencia CF and officially become the worst president ever in the history of football clubs, but I guess even for him that is too much to bear. 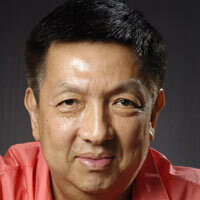 So great turn of events, and I've researched Peter Lim and I can tell you that he is a football fan, he watches and follows European football, he owns Manchester United themed bars and pubs in Asia, and he's made several bids to buy various football clubs in the past, though unsuccessfully so. Now the cast that he made several failed attempts to buy certain clubs actually goes against him, since it means there was something wrong or lacking that he couldn't buy any of those clubs, so this is a bit worrying to me. His current net worth is estimated at around 2 billion and he makes his money off off various investments into all sorts of things, so he has a big portfolio of things he's invested in. I think dishing out 300-400 million euros won't be too big of a problem for him and he has the money. I mean if it all about the money, he has it, he is the real deal. Question is what is his vision for Valencia CF, how much will he invest in players and what will be the investment to finish the stadium, and so on.... If he buys the club for 300 million euros, dishes out 150 million more to finish the stadium and another 50 million to buy players, then he spend 500 million euros out of the gate. Is he willing to make that type of investment? And again, he is not a sheikh and doesn't have guaranteed tens of billions each year from oil or other energy, he is a self made investor, making good investments that make him money, he is not a multibillionare like some other people are. He is super wealthy, but there is a limit to what he can do and how much he can spend. Of course 2 billion is quite a lot, but half a billion gone instantly with the investment in Valencia CF can really shake things up and make anyone question. But I trust that he is serious and knows what he is doing and that he is going to open his bag/bank account and dish out the money in Valencia CF. I think it would be a positive thing for Valencia CF either way, at least the debt will be wiped, there is going to be new money flowing in, it can't get worse than it already is.